A Very Merry Polka Christmas with some of the Best Artists in the USA! 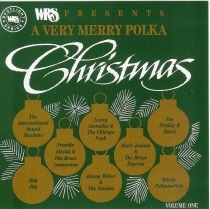 “A Very Merry Polka Christmas” features 25 songs by some of the greats of polka music. This CD is sure to please many. Check out this CD today!